Chinese startup Nio (formerly known as NextEV) has made a big splash in a short period of time. Founded in 2014, after spending a couple of years under the radar, it launched an all-electric supercar and announced plans for a mass-production electric SUV capable of taking on Tesla. That mass-market model is now here. 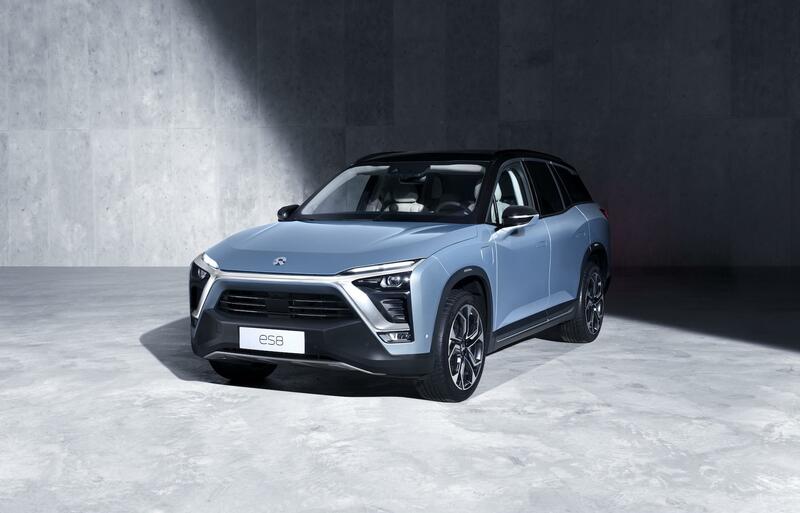 The Nio ES8 is on sale in the company’s home market. While many startups, including Faraday Future and Lucid Motors, talked about Tesla-fighting electric cars, Nio has actually put its car into production. The company previously said it would begin selling electric cars in the United States in 2020, although it may bring a different model here. 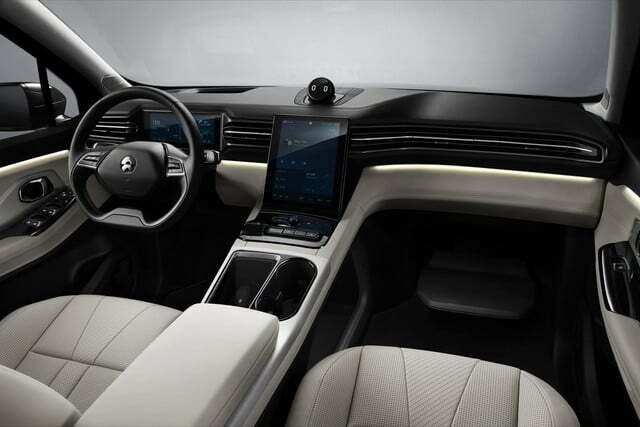 In a move reminiscent of Tesla, the first 10,000 ES8 deliveries will be “Founder’s Edition” models priced at 548,000 yuan ($82,989), while regular models are priced at 448,000 yuan ($67,783). That undercuts the 836,000 yuan ($126,603) base price of a Tesla Model X in China, notes Bloomberg (the Model X starts at $79,500 in the U.S., but shipping costs and import duties inflate its price in China). That could give Nio an advantage in what is now the world’s largest market for electric cars. Like the Model X, the ES8 has one electric motor on each axle, giving it all-wheel drive. 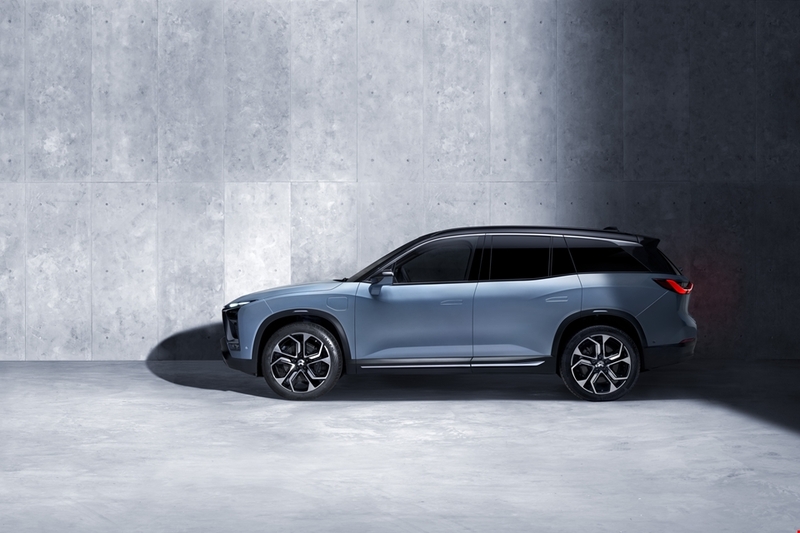 The two motors produce a combined 480 kilowatts (643 horsepower) and 619 pound-feet of torque, getting the SUV from 0 to 62 mph in 4.4 seconds, says Nio. A 70-kilowatt-hour battery pack provides a claimed range of 355 kilometers (220 miles) in average driving conditions. The ES8 features seating for seven and an aluminum body to keep weight down. 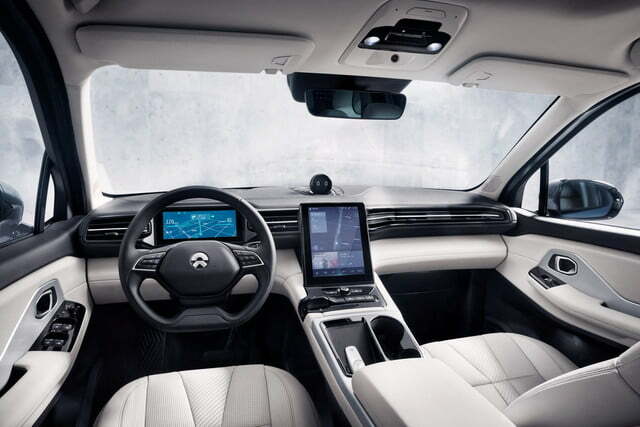 The ES8 will feature some form of advanced driver-assist system, although Nio didn’t provide details on its capabilities. The company did say that the ES8 is equipped with 23 sensors, including cameras and radar, as well as Mobileye’s new EyeQ4 image processor. Nomi, which Nio claims is the world’s first in-car A.I., handles infotainment functions. Nio will also offer battery swapping, an idea that even Tesla has not been able to implement on a large scale. By 2020, Nio hopes to build 1,200 “Power Swap” battery-swap stations and deploy over 1,200 “Power Mobile” vehicles, which will drive around and provide charging in the field, in addition to conventional charging stations. Taking advantage of the swappable battery setup, customers will be able to opt into a battery-subscription service. They will rent their cars’ battery packs for 1,280 yuan ($193) per month. 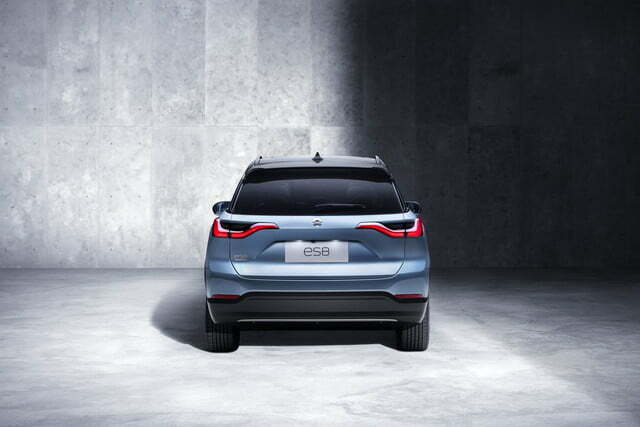 Nio says this will take 100,000 yuan ($15,143) off the purchase price of an ES8, and enable customers to upgrade their battery packs when new versions become available. Getting a vehicle into production has put Nio ahead of most startups, but the company has a long way to go. It’s unclear if the company’s battery-swapping and subscription schemes will work out, or if customers will actually like the ES8 as much as its more established American rival. And while Nio has the home-field advantage in China, it may have a tougher time getting established in the U.S.